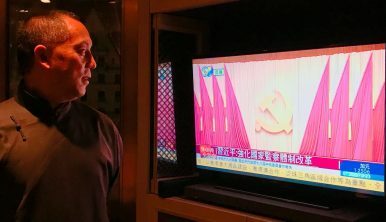 How will Guo Wengui’s story end? Guo, who also goes by Miles Kwok, is something of a celebrity in the China-watching world for the spectacular allegations he’s gradually unveiled and levied against many in China’s top leadership. Even without verification or corroboration, Guo’s perception as a once-in-the-loop politico in China has won him many friends stateside. He claims to have worked closely with Chinese intelligence and to have intimate knowledge of the personal and financial dealings of the Chinese Communist Party’s top elites. The Chinese government’s heavy-handed attempts to censor him thrust him into prominence. Earlier this year, an hours-long Voice of America interview with Guo was cut short, reportedly after receiving a request from the Chinese foreign ministry. Since that interview, Voice of America clarified that it had not verified several claims Guo made and it did not endorse them. Guo had alleged, among other things, that Wang Qishan, China’s powerful anti-corruption czar, had taken a large interest in HNA Group, a powerful conglomerate. That claim resulted in a defamation suit against Guo by HNA Group. What’s so remarkable about the Journal‘s story is the detail it provides on the MSS’ efforts within the United States to contact Guo and the U.S. response. The latter is in some ways the more interesting component of the story. While President Donald Trump appeared positively disposed toward the Chinese government and was eager to help China out by deporting Guo — the U.S. and China don’t have an extradition treaty — his staff tried to stay his hand by pointing out that Guo belonged to Trump’s Mar-a-Lago club! What’s more, the Guo story contains all the hallmarks of a tough interagency problem. The Journal outlines the tug-of-war between the State Department and the Federal Bureau of Investigation on the matter of the MSS agents who had been operating outside of the confines of their visa in the United States. State, unsurprisingly, preferred to take a softer approach to avoid kicking up a diplomatic hornet’s nest at a time when the United States is seeking Chinese cooperation on issues ranging from North Korea to trade policy. What’s clear for now is that the Guo Wengui saga is far from over. Indeed, following the conclusion of the 19th Party Congress and Trump’s upcoming trip to China, he could turn into a more serious flashpoint in U.S.-China ties. In the meantime, Guo has started associating with ardent anti-China voices in the United States, including former White House Chief Strategist Steve Bannon. By all appearances, Guo’s role in the story of U.S.-China relations in the Trump era may have just begun. What Was Steve Bannon Doing Meeting With Wang Qishan? The former White House chief strategist reportedly traveled to Beijing recently.